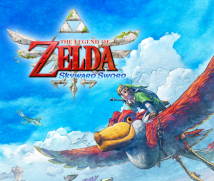 This is our second session of “Iwata Asks” covering The Legend of Zelda: Skyward Sword. I’ve gathered you all here to talk about the theme “The Dense Forest.” Please say what you worked on and introduce yourself. 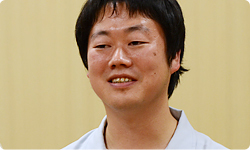 Fujibayashi-san was in the previous session, so let’s start with Asuke-san. the area called the Sealed Grounds, the land that Link falls to at the beginning from the floating island named Skyloft . It’s an area that serves as a kind of connection point before you reach the game fields and dungeons. It’s an incredibly important place in the story. Its name - the Sealed Grounds - suggests there’s something significant about it. Yes. (laughs) A huge boss appears there. I was in charge of the area where you fight it. I’m Hiramuki, also from EAD. The first game I worked on at Nintendo was Pikmin.1 After that, I worked on the fields of Pikmin for a long time, but then I became involved with The Legend of Zelda with The Legend of Zelda: Phantom Hourglass2 for the Nintendo DS system. 1Pikmin: An AI action game for the Nintendo GameCube system in which the player searches for hidden treasure while accompanied by mysterious creatures known as Pikmin. The first game was released in October 2001 in Japan and the second game in April 2004 in Japan. Both titles were also released as part of the New Play Control! series of games for the Wii console in December 2008 and March 2009 in Japan. 2The Legend of Zelda: Phantom Hourglass: A stylus-controlled action-adventure game released in June 2007 in Japan as the first title in The Legend of Zelda series for the Nintendo DS system. Then you started working together with Fujibayashi-san. the dungeon called Skyview Temple . I’m Ito from EAD. I was in charge of the overall special effects. 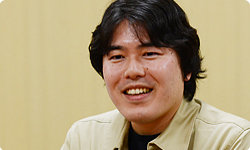 Since joining the company, I have worked on The Legend of Zelda: The Wind Waker3, The Legend of Zelda: Twilight Princess4 and The Legend of Zelda: Spirit Tracks5, so this game was my fourth Legend of Zelda title. 3The Legend of Zelda: The Wind Waker: An action-adventure game released for the Nintendo GameCube system in December 2002 in Japan. 4The Legend of Zelda: Twilight Princess: An action-adventure game released for the Wii console and Nintendo GameCube system in November 2006. 5The Legend of Zelda: Spirit Tracks: An action-adventure game released for the Nintendo DS system in December 2009. We can always leave the special effects for The Legend of Zelda games to you. To start off, this Legend of Zelda game is structured so as to provide the enjoyment of playing in familiar places. So rather than making a bunch of new game fields - as in past games - you wanted to create fields where the player can go through more than once to thoroughly enjoy the environment. First, I would like you to talk about why you decided to make it like that. 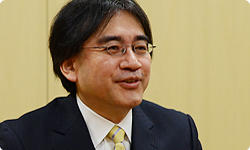 Miyamoto-san has always said that to Aonuma-san - and this time Aonuma-san said it to you! (laughs) If you make a bunch of new fields, and just stretch it out, it just gets big and can be a bit of a drag. That’s right. I thought we could discover a new pleasure if, instead of just stretching it out, we made fields with height and depth, so that every time you went to one, you would experience a fresh surprise and discover new enjoyment. In other words, compact doesn’t literally mean small and cramped game fields, but denser ones, while still compact. 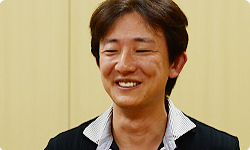 So Hiramuki-san planned the first game field and dungeon, but you were the one who asked him to? Yes. The forest that is the first game field is a really important place, so I asked Hiramuki-san as someone who would give it his full attention. You worked together with Hiramuki-san on The Legend of Zelda: Phantom Hourglass, so you’re old partners. 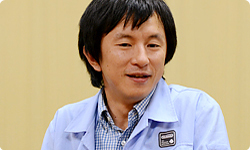 Hiramuki-san, what was on your mind as you made the forest? Well, the forest is the first game field you visit, so I thought the most important thing was helping players get into the world of The Legend of Zelda naturally. The first game field is incredibly important. If it makes a bad impression, players won’t go any further. That’s right. So I decided to give the forest a bright and fun atmosphere. Until now in the series, most of the forests have always been dim and creepy. big mushrooms growing there and all kinds of animals and insects and little birds . Yes. (laughs) The Bug Net is in the item selection circle along with the Bow and Bomb. It stands out - in a good way - and I think it’s very characteristic of the Legend of Zelda games. When you actually try to catch bugs with that net, you get really tense. That’s how realistic it is. You can experience a thrill like when you catch real cicadas or grasshoppers. Oh, I see. The Wii MotionPlus accessory doesn’t just allow you to swing the sword however you want, but the Bug Net as well. That’s right. The direction you swing the net is very important. At first, you don’t have the knack for it, so you’re swinging it around all over, but it isn’t long before you get the hang of it. You say, “This is the perfect angle,” and change your grip as you go around catching bugs. And the way you do it has to change for each kind of bug. Sometimes you sweep down from above and sometimes you scoop them up from underneath. Hmm, bug-catching itself is quite deep. The way the team puts such an astounding amount of effort on things like this really is a part of the essence of Zelda. Yes. There are all kinds of bugs, like grasshoppers and cicadas, dragonflies and butterflies, unicorn beetles and stag beetles and mantises. There are different kinds of birds, too. It hardly ever shows up, but there’s a blue bird, too. When I see one, I shout, “There’s the blue one!” (laughs) and get all excited and sneak up on it, and feel great when I catch it. Do you get anything for catching insects and birds? I think I’ll talk about that some other time.